​​“Knowledge from pencil trace-power of graphene”-TEDx, Edinburgh Napier University, Edinburgh, UK, 9th April 2017. In Sao Pauo University, Brazil. 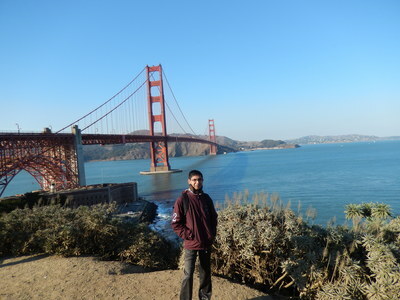 In San Francisco, USA (223rd ECS Meeting). ​Stuart M. Holmes, Prabhuraj, “Role of Graphene and graphene oxide in low temperature fuel cells for enhanced performance”-231st Electrochemical Society (ECS) Meeting, Electrochemical Society, New Orleans, Louisiana, USA, 28th May -02nd June 2017. Prabhuraj, Stuart M. Holmes, “2D materials significantly enhancing fuel cell performance”-Manchester Energy PhD conference, University of Manchester, Manchester, UK, 3rd -4th April 2017. Prabhuraj, Stuart M. Holmes, “2D materials for energy delivery and related sustainability applications”-Composites @ Manchester - 2nd research workshop, University of Manchester, Manchester, UK, 3rd Feb 2017. Stuart M. Holmes, Prabhuraj, “Graphene and graphene oxide in low temperature fuel cells for enhanced performance”-229th Electrochemical Society (ECS) Meeting, Electrochemical Society, San Diego, California, USA, 29th May -02nd June 2016. (Poster): Prabhuraj, Isil Gurten Inal, Zeki Aktas, Stuart M. Holmes, “Activated carbon prepared from waste tea as anode gas diffusion layer in DMFC systems”-12th International Conference on Materials Chemistry (MC12), University of York, York, UK, 23th-27th July 2015. (Poster): Isil Gurten Inal, Prabhuraj, Anthony Banford, Stuart Holmes , Zeki Aktas, “Evaluation of the use of tomato plant and waste tea based activated carbons as electrode materials for supercapacitors” -12th International Conference on Materials Chemistry (MC12), University of York, York, UK. 23-27 July 2015. Prabhuraj, Stuart M. Holmes, “Materials for direct methanol fuel cells (DMFCs)”-Great Western Electrochemistry Meeting, University of Bath, Bath, UK, 22nd June 2015. Prabhuraj, Isil Gurten Inal, Zeki Aktas, Stuart Holmes"A biomass based activated carbon as the cathode gas diffusion layer in low temperature polymer electrolyte fuel cells" -Fuel Cell and Hydrogen Technical Conference, Millennium Point, Birmingham, UK, 19th-21th May 2015. (Poster): Prabhuraj, Stuart Holmes “Graphene oxide (GO) as a membrane material in Direct Methanol Fuel Cells (DMFCs)- Possibilities and Review” – PGR conference 2014, University of Manchester, Manchester,11th June 2014. (Poster): Prabhuraj, Stuart Holmes “Graphene oxide (GO) as a membrane material in Direct Methanol Fuel Cells (DMFCs)- Possibilities and Review ” – Chem Eng Day 2014, University of Manchester, Manchester, 7-8th April 2014. 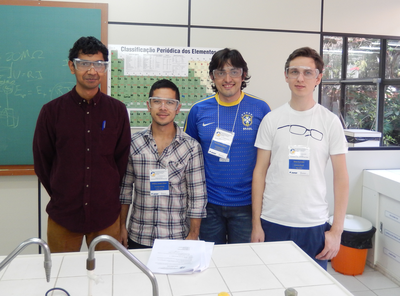 Workshop on Electrochemistry -“Sao Paulo School of Advanced science on Electrochemistry, Energy Conversion and Storage (SPASECS)”- University of Sao Paulo, Sao Paulo, Brazil, 7th-14th December 2013. (Poster): Prabhuraj, Stuart Holmes “Graphene in Direct Methanol Fuel Cells (DMFCs)- Present and the future” – PGR conference 2013, University of Manchester, Manchester,11th June 2013. (Poster): Prabhuraj, Stuart Holmes “Role of Graphene in Direct Methanol Fuel Cells (DMFCs)- Present and the Future” – Chem Eng Day 2013, Imperial College London, London, 23rd-26th March 2013. ​(Poster): ​Prabhuraj, Stuart M. Holmes, “A view on Direct Methanol Fuel cells (DMFCs) and benefits of applying graphene in DMFCs” – Royal Academy of Engineering conference, Manchester, UK, 5th March 2013 (Third Prize).